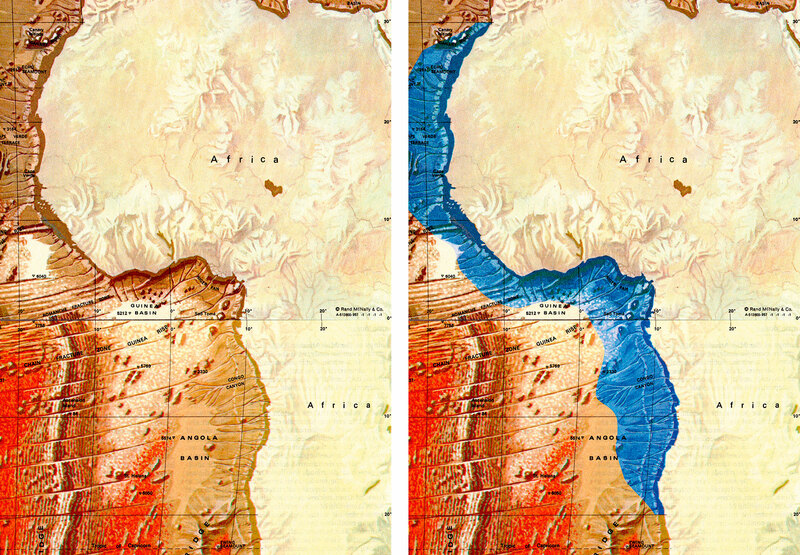 Fig.1 Map of the west coast of Africa and the Atlantic Ocean. 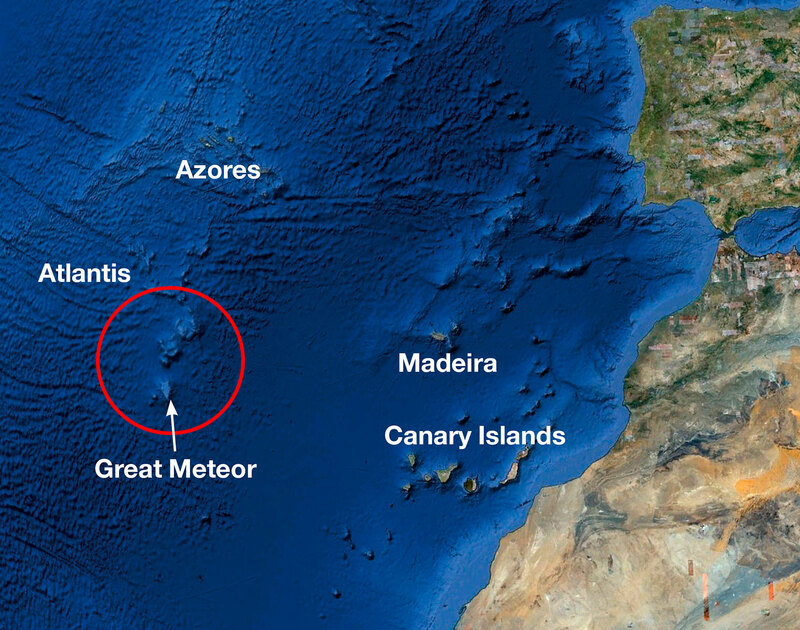 In the Atlantic we find the Canary Islands, Madeira and the Azores. The three submerged islands of Atlantis are circled in red and clearly visible. The top of Great Meteor is located at ‘only’ 270 meters below sea level. 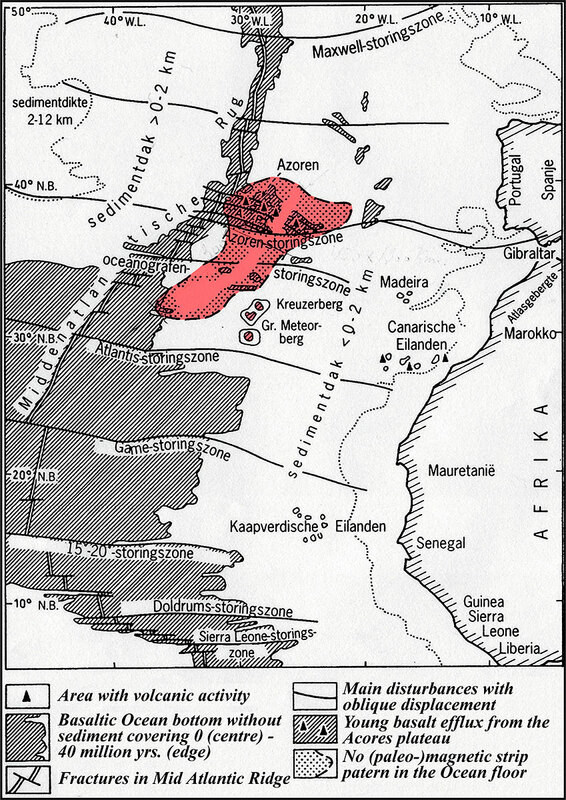 Fig.2 Map of the northern part of the African continent. 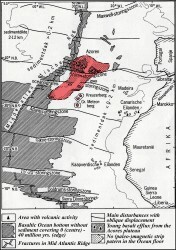 The 30th parallel north is indicated in red. 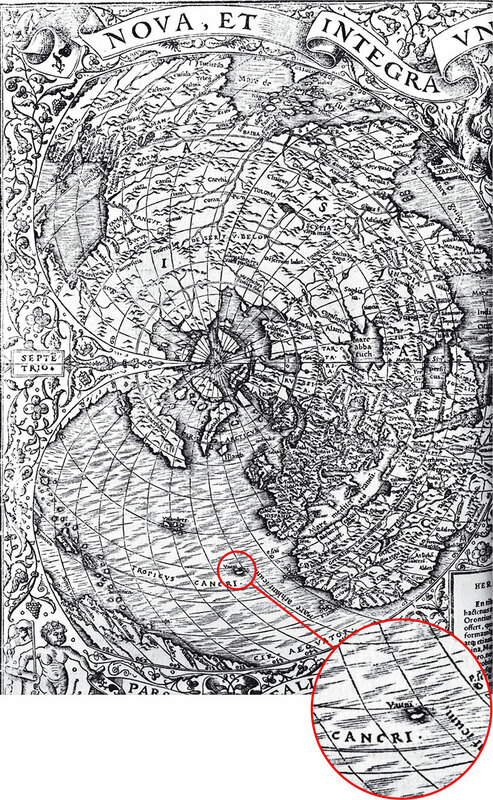 In the west on this parallel, the sea mountains Great Meteor and the Cruiser Mountains are located in the Atlantic. 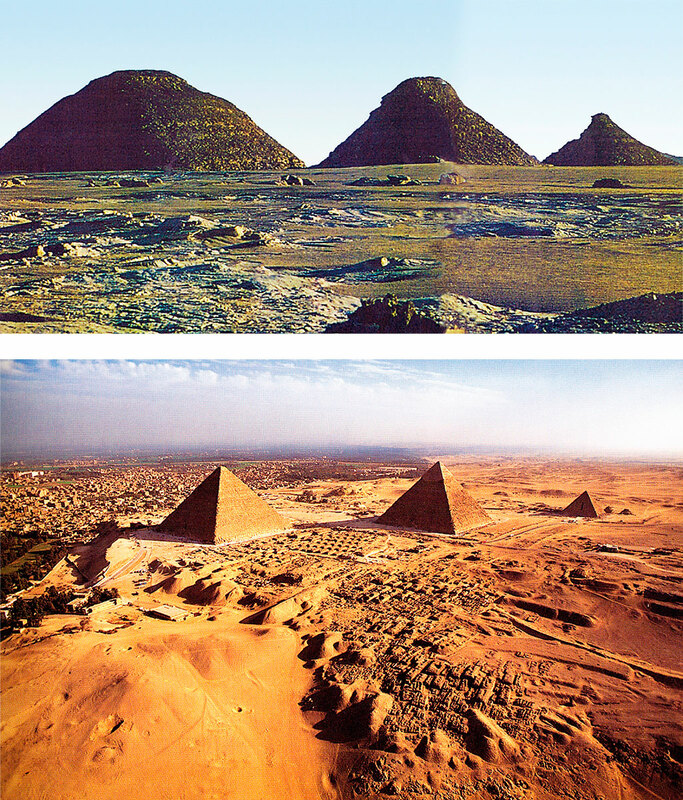 In the east on this parallel, we find the Giza plateau with the three pyramids of Khufu (Cheops), Khafre (Chephren) and Menkaure (Mykerinos). 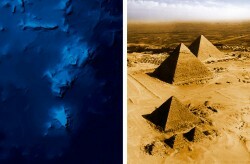 The distance between the sea mountains and the pyramids, measured between the meridians of longitude, is an exact 60º. 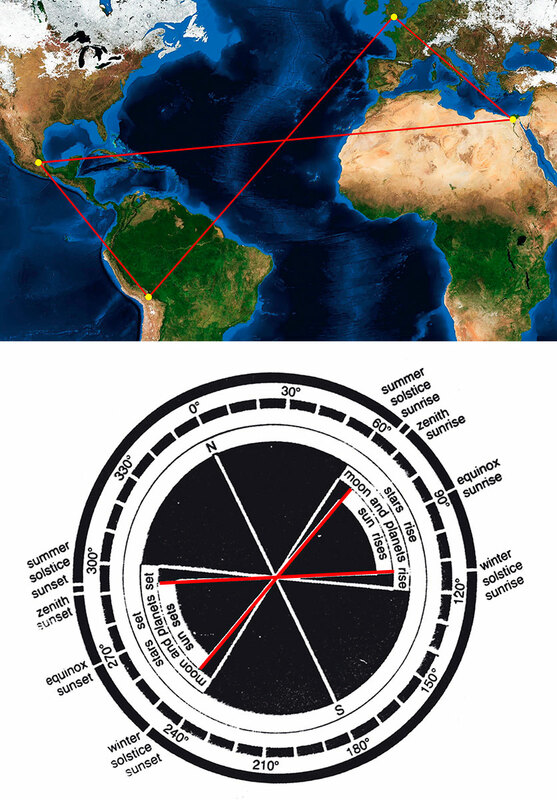 Geodetic precision like this indicates ancient geographical knowledge which includes knowledge of the circumference of the earth; it also shows that we are dealing with an explicit reference by the Ancient Egyptians to the cradle of their civilization. Fig.4 Physiographical map of the west coast of Africa. The channels and original mouths of the rivers between the 30th parallel north and the 20th parallel south continue into the (bottom of the) present-day Atlantic Ocean as far out as 500 to 800 kilometers. These strongly extended rivers tell us that sea levels in at least part of the Atlantic have been much lower than is presently assumed by geologists. 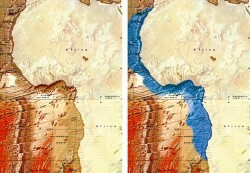 A possible explanation for this is that at some point in the past the west side of the African continent was pressed up with enormous force, possibly because the American or Carribean plate was pushed under the African plate, causing the former to sink. The profile of the west coast confirms this. The enormous area in which we find these submerged river channels and mouths indicates the violent nature of this prehistoric catastrophe. 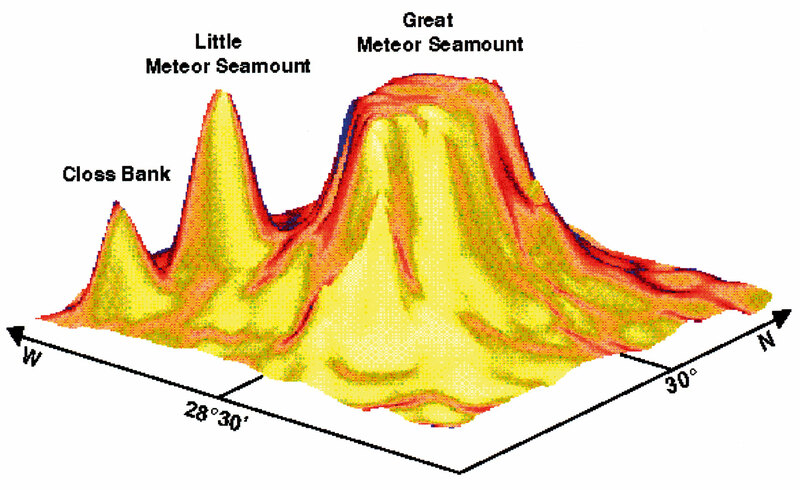 Fig.5 Geomorphological representation of the 3 sunken islands of Atlantis, the southernmost of which is called Great Meteor and the 2 lesser islands are now called the Cruiser Seamounts. 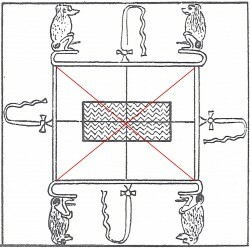 The volcanic island iw titi, ‘Island of Trampling’, the Great Meteor, was the most important island, the island on which creation took place according to the Edfu annals (Edfu IV. 358,13 and VI. 181, 12 and 13). The island rose up high from the waves and was located at the far end, at the outer edge of the ‘known’ world. (Ges-wa’ret). 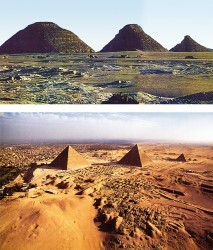 The similarity with the 3 pyramids on the Giza plateau is quite striking. Giza was and is three beautifully stylized mountains, but above all it is a copy of Atlantis. 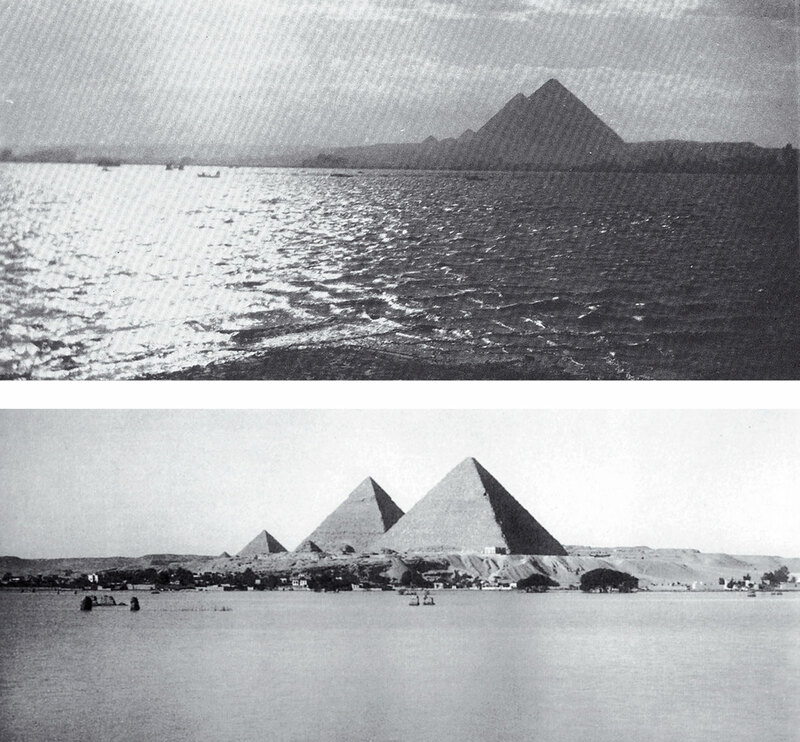 fig.6 In an intriguing article, Prof. El Baz suggest that the three pyramids of Giza and the Great Sphinx were designed and built according to a similarly shaped model located in the region of the Kharga Oasis in Egypt’s Western Desert. El-Baz wrote that travelling through the Sahara one continues to be amazed by the sand dunes that are formed by the wind. Parts of the Sahara consist of 40% sand with pieces of rock and pebbles covering the surface, while sand dunes dominate the landscape. At a certain moment, El-Baz started wondering if perhaps the Ancient Egyptians had been inspired by these eroded cone-shaped mountains in the Sahara, fashioned by the wind (yardang, erosion of granite and basalt). To me this sounds debatable, because in that case I think the Ancient Egyptians would undoubtedly have opted for the cone-shape rather than the pyramid-shape. It is more plausible to assume that the three mountains in the cradle of their civilization served as a model for the tree pyramids of Giza. Fig.7 Map of the bottom of the Atlantic Ocean with the Mid-Atlantic ridge. The map shows a dotted area where the usual paleo-magnetic stripe pattern is missing, which automatically reveals the contours of a huge island. 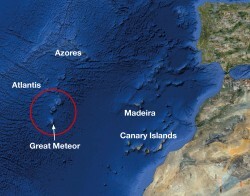 The Azores are part of this area. The three islands, Great Meteor and the 2 Cruiser seamounts, are clearly visible. Fig.8 Image of the Great Meteor sea mountain (guyot). 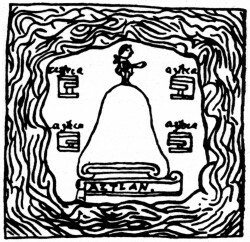 Fig.9 On the Oronteus Finaeus World map of 1531, the island of Creation bears the name Vauni. Vauni is the name of the Great Meteor sea mountain and also of the Island of Ogygia. The island now lies 270 meters below sea level. If we assume that Homer in the eighth century BC was familiar with this sea mountain, then sea levels must either have risen considerably since then, or, alternatively, the bottom of the Atlantic must have sunk by hundreds of meters. 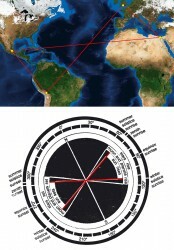 Fig.10 Earth globe on which marked in red the ancient cultures of Giza (Egypt), Stonehenge (England), Teotihuacan (Mexico) and Tiahuanaco (Bolivia) have been linked. 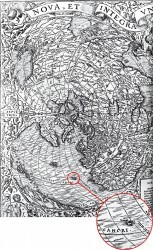 The intersection of the connecting lines marks the navel of the Ancient World (Atlantis). We are living among the ruins of an archaic and antique structure, a grand structure whose function and meaning, built to last and understood by our ancestors, has so far eluded us. We did not even recognize the pattern marked by gigantic prehistoric architectural structures. After the submergence of the ‘Island of the previous world’ as a result of a world-wide catastrophe, the ancients wanted to leave to posterity at least four locations, four astronomical-religious centers, to last for eternity. 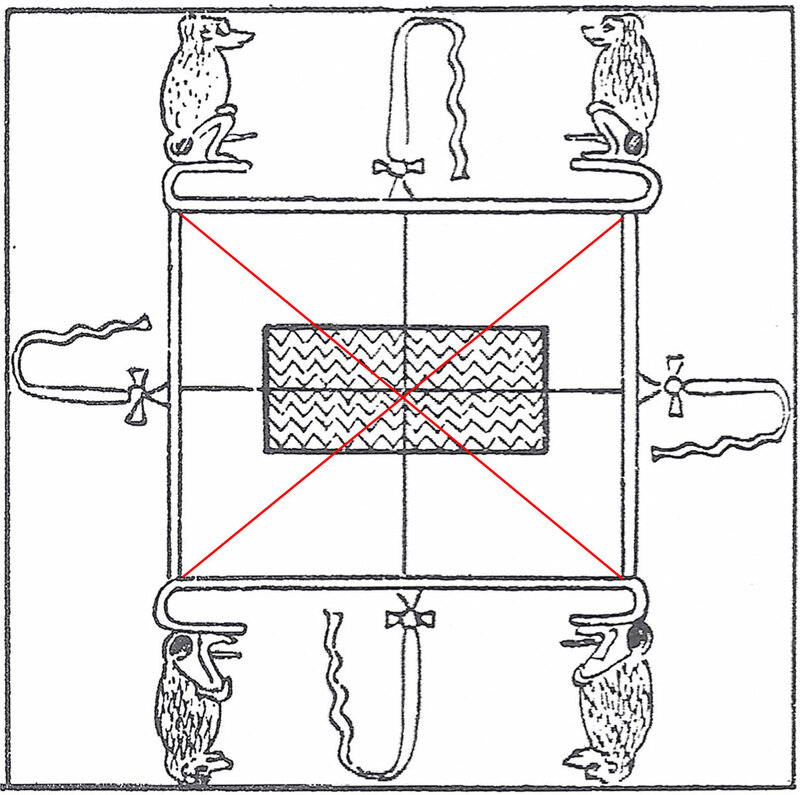 Fig.11 Ancient Egyptian depiction of the four corners of the ancient World, with baboons on each of the corners. In the center, we find the primaeval waters, the ocean that the cradle sank into. This is a simplified version of the structure described in Fig.10. 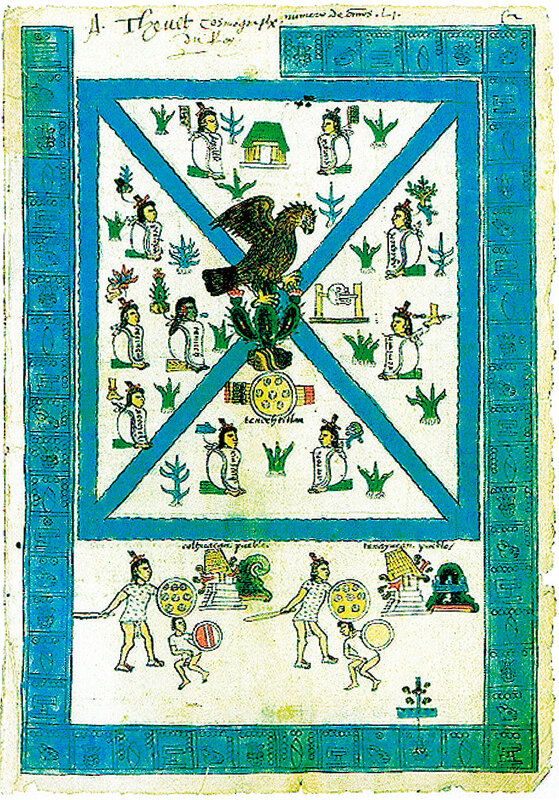 Fig.12 A scene from the Aztec Codex Mendoza showing the 4 corners of the ancient World and the eagle in the center. Fig.13 During the flooding season (Achet), the River Nile would overflow its banks and the water would get quite close to the Giza plateau. The view of the Pyramids of Giza with the water flowing at the foot of the plateau would remind the Egyptians of their original homeland, the cradle of their civilization. At the end of the four-month flooding season, the Osiris festival was held, keeping the memory alive of the God Osiris, who ‘was drowned’ in the Nile. Osiris to the Ancient Egyptians was the mysterious power that fertilizes the earth and creates new life where old life has perished and decomposed. The Osiris-religion was rebirth and resurrection personified, for man and for all flora and fauna. To the Egyptians, Osiris signified both the power of germination and the moment of seeding. The re-creation of their former Homeland on the Giza plateau was the re-birth of the Osiris religion. It was there that they built the ‘Island of Osiris’, the ‘Island of the Previous World’. The reason why the Nile must be seen as being inextricable linked to Osiris, is apparent from the fact that at the end of the 120-day season of Achet, the Ancient Egyptians commemorated the dying day, and the burial of Osiris and celebrated his resurrection. Nineteen days before the end of the Achet season, the festivities of the Osiris festival would start in Abydos. On the last day of the flooding season, IV Achet 30, they celebrated the resurrection of Osiris by erecting the Djed-pillar as a ‘supporting pillar of heaven’. On the first day of the next season, I Peret 1, they celebrated the ascension to the throne of Horus, the son of Osiris. 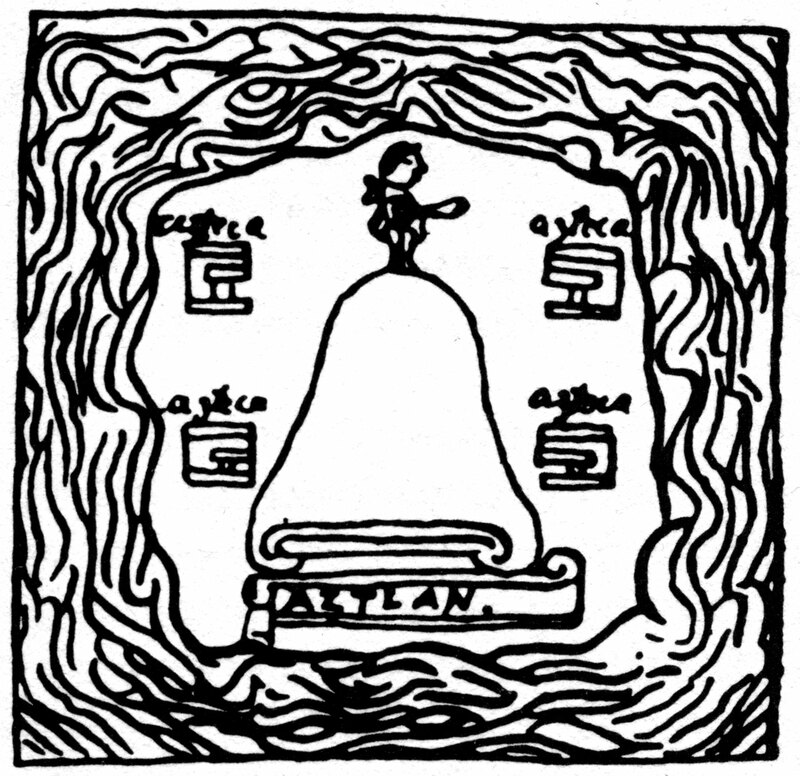 Fig.14 Aztec depiction of the mountain of Aztlan, surrounded by water. 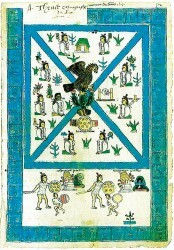 The similarity of Aztlan to Atlantis suggests an etymological link.